Girl Scouts of California’s Central Coast (GSCCC) and Girl Scouts of the USA (GSUSA) announced that a new cookie, Caramel Chocolate Chip, will join the 2019 Girl Scout Cookie® season lineup, as a gluten-free offering with limited availability in select areas. More than just delicious cookies, the Girl Scout Cookie Program®fuels girls’ development of entrepreneurial and essential life skills, and the cookie earnings power amazing experiences for girl members. The largest girl-led entrepreneurial program in the world, the Girl Scout Cookie Program is proven to help the majority of girl participants develop five essential life and business skills, fostering the next generation of women who are entrepreneurs and business leaders. A recent Girl Scout Research Institute study found that 85 percent of girls surveyed learned how to set goals and meet deadlines, 88 percent became effective decision-makers, 88 percent learned to manage money, 85 percent gained people skills, and 94 percent learned business ethics—all through the Girl Scout Cookie Program. Two out of three girls surveyed (66 percent) developed all five skills while doing amazing things for themselves and their communities. Each and every purchase of Girl Scout Cookies—100 percent of the net revenue, which stays local—is an investment in girls and their leadership capabilities, both now and in the future. And Girl Scouts in the Ventura County area are able to do incredible things thanks to their cookie earnings. Girl Scouts of California’s Central Coast will offer the gluten-free Caramel Chocolate Chip cookie, which joins classics like the Thin Mints®, Caramel deLites®, and Shortbread varieties. Caramel Chocolate Chip features rich caramel, semi-sweet chocolate chips, and a hint of sea salt in a chewy cookie. 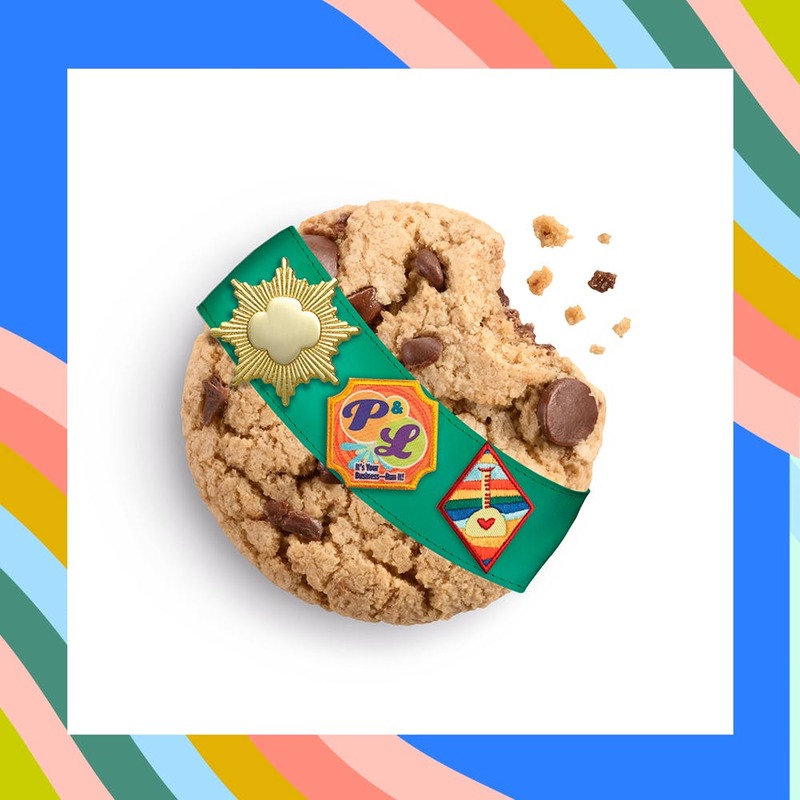 The new cookie is offered only in select Girl Scout council markets for as long as supplies last, and it can only be purchased from a registered Girl Scout. Like other similar consumer products, gluten-free cookies may be priced higher than other Girl Scout Cookies, reflecting the cost of production. This July, GSUSA also announced30 new badges now available exclusively for Girl Scouts ages 5–18 that not only enhance the one-of-a-kind Girl Scout experience, but also address some of society’s most pressing needs, such as cybersecurity, environmental advocacy, mechanical engineering, robotics, computer science, and space exploration. In a safe all-girl space, Girl Scouts develop important soft skills, including confidence and perseverance, as well as hard skills, setting them up for success and preparing them to take action for a better world. To learn more about the Girl Scout Cookie Program and find out when Girl Scouts will be selling cookies near you, visit www.girlscoutcookies.org. Girl Scouts of California’s Central Coast serves over 10,200 girls across six counties and is committed to making the Girl Scout Leadership Experience available to girls in ways that impact their lives both in the moment and into the future. Girls participate in troops, individual projects, council events, day camps, resident camps and more. A variety of leadership, outdoor skills, and Science, Technology, Engineering, Arts and Math (STEAM) based programs and events provide girls with opportunities to learn and explore in fun and informative ways. To join or volunteer in Santa Cruz, San Benito, Monterey, San Luis Obispo, Santa Barbara or Ventura County, visit: http://www.girlscoutsccc.org.